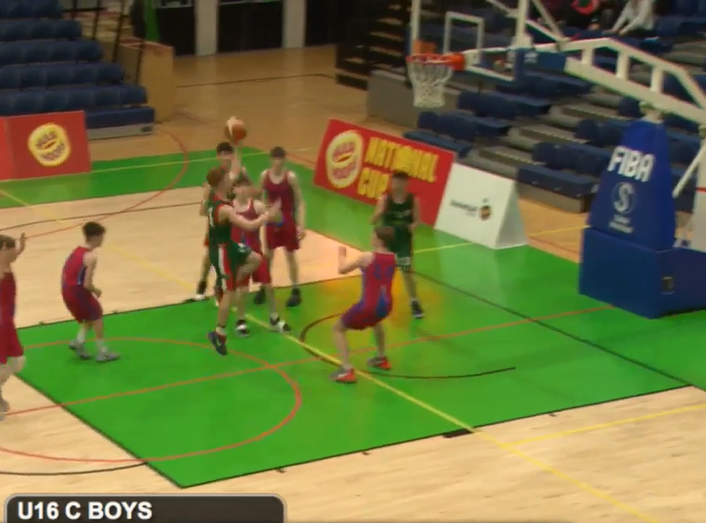 St Patrick’s Grammar School (Armagh) faced off against Heywood Community School (Laois) in the 2nd day of the Schools League finals 2018 at the NBA in Dublin. St Patrick’s cruised to a commanding (23-9) lead in the first quarter that Heywood would never be able to overcome. Kajus Zagrelis (15) and eventual game MVP Michael McGleenan (16) provided a steady offensive output throughout the game. The Armagh boys secured the win with a final 17-9 outburst in the final quarter.